In my line of work these are the busiest few weeks of the year. It's for this reason that reviews have been down on normal numbers, but don't worry I've still been drinking and taking notes for your enjoyment! Sit back and enjoy another quick run-through of my recent drinking exploits. Keep the feedback and suggestions coming at gus.norris7@gmail.com and I'll endeavour to get back to you all as soon as possible. Gulden Draak - We are starting with the beer I'm drinking now. 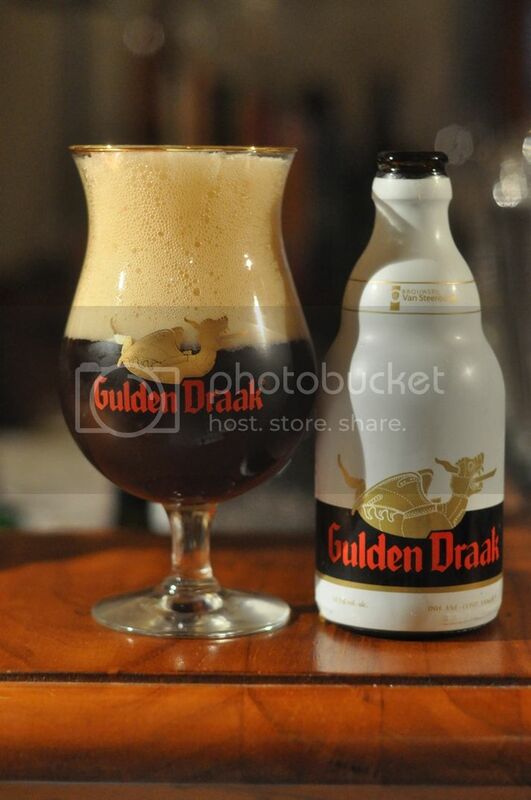 Gulden Draak is a Belgian Strong Dark Ale which is truly world class! This is actually the first time I've ever had this beer and it really grew on me as it warmed. It may prove too sweet for many drinkers at first but as the beer warms it takes on a fantastic complexity, this is definitely one for the connoisseurs. Gunbarrel IPA - This is actually a really enjoyable IPA that I only got to drink because the International Beer Store in Perth talked me into a couple of box fillers. It comes in a 650ml bomber and has big malt and hop flavours. Beaten Track brewery out of Kalgoorlie produce this beer and I've been quite impressed with all of their beers. 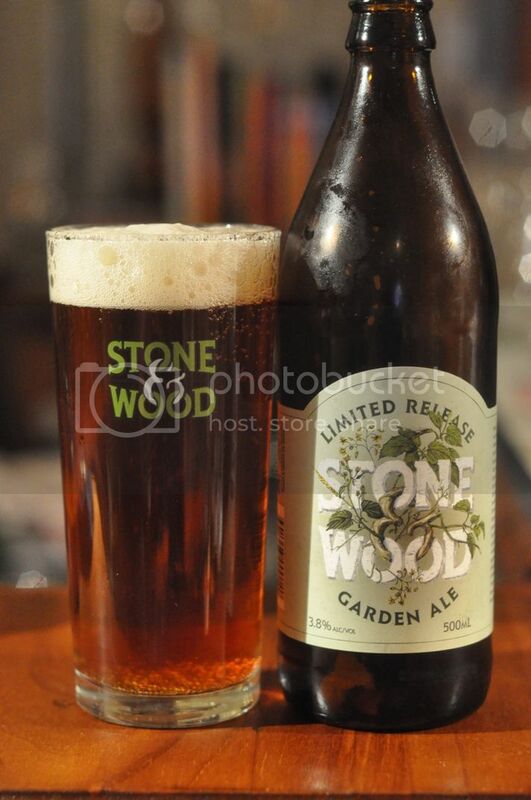 Stone & Wood Garden Ale - The boys at Stone & Wood have released their latest limited edition beer. It's called the Garden Ale and is essentially an English Bitter. It's got juniper berries in it and is incredibly refreshing. At 3.8% it's on the low ABV side but the flavour is excellent and this more than makes up for the low ABV. It's one I'd definitely have again. San Paolo Pecan - This is one of the many Italian craft beers infiltrating the Australian market. It has the light citrus and grass hop flavour of a typical Kolsch, but is strangely bland. Personally for me this was a bit of a disappointment considering I'd heard good things about this brewery. I would avoid this one if I was you. 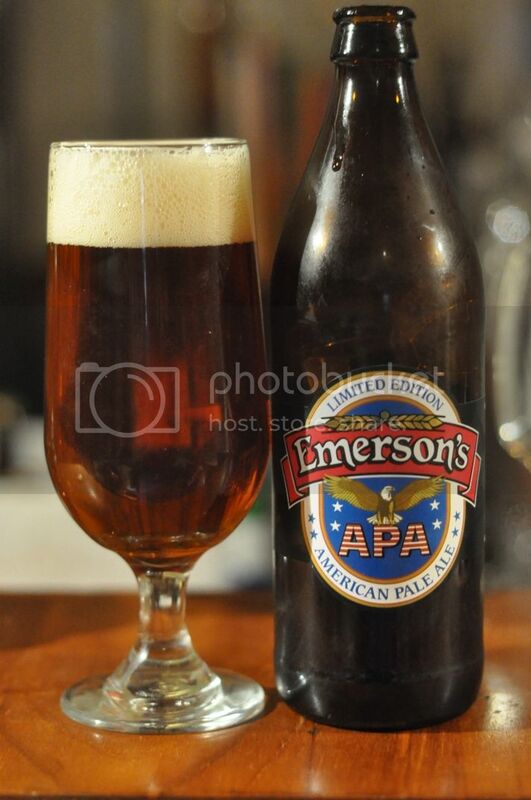 Emerson's APA - As regular readers would know, Emerson's is one of my favourite breweries. This American Pale Ale was a recently released limited edition. It was incredibly easy drinking and one of the better examples of the styles out there, maybe it should be a permanent edition to the Emerson's lineup? Viven Imperial IPA - I'm a big IPA fan but considering how well the Belgian's make beer this is a bit of a disappointment. It is definitely an American IPA not a Belgian IPA, which is honourable from a Belgian brewery however it just didn't set my world on fire. There are certainly better beers out there. 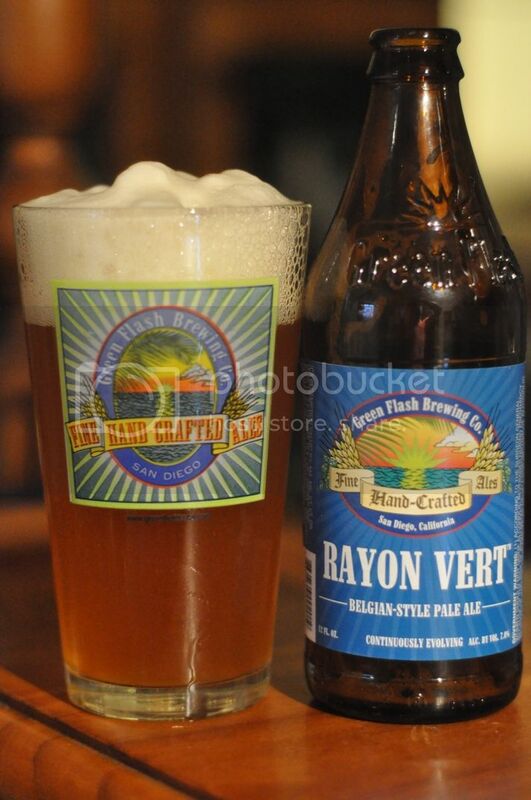 Green Flash Rayon Vert - When Green Flash was on tasting at my beer store a few months back the rep told me I had to take a 4-pack, try 2 now and put 2 away for aging. It's hard to see how this Belgian Pale Ale could get any better with aging! It's a stunning example of the style and is ever so drinkable. Victoria - Central and South America seems littered with beers called Victoria. This particular one is from Mexico and is a beer that really impressed me at dinner the other night. It was on the beer menu at a Mexican restaurant and as I'm not the world's biggest Corona fan I thought I'd give it a go. The conclusion is that it's a far superior beer, very refreshing and quite tasty! 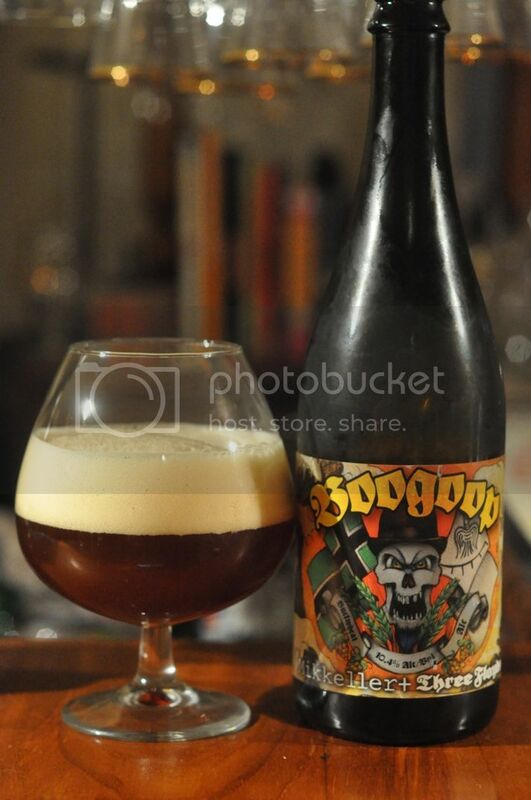 Boogoop - Richo and I sampled this beer two weeks ago. It was bought purely because of the name and that it was on special. It actually turned out to be a ripper of a beer. A wheatwine is a style I've never had before and initial impressions of the style were that is was like a sweet IPA. I'd be interested in finding more of them. Vlora - Vlora is an Albanian lager. I had this beer on November 28, the 100th anniversary of Albania's declaration of independence. I still can't decide whether I liked the beer or not. It was quite drinkable but there was this slightly odd metallic taste that put me off a little, and is actually the reason the beer didn't get a full review. So that was the quick run through of some beers that I would otherwise have liked to review, but for time constraints. I've got two reviews that will be up in the next few days, one of which has a seasonal theme to it..., so stay tuned. Remember any suggestions for reviews are always greatly appreciated and I am always happy to answer any beer questions you may have.